Welcome to A Sampling Bee! Today, I share with you Nush Foods' 6 new Cakes! These low-carb low-to-no-sugar cakes are certified gluten-free, organic and kosher. Each Nush Cake is made with organic flax, organic coconut oil. When I first came across these online, I was immediately drawn to them because of the bright packaging. Another aspect that drew me to these was the fact that they were low in sugar. Sugar is in everything nowadays. So, its nice to know that there are snacks out there, that I can give to my family, that are healthy and not loaded with sugar. Ingredients: water, organic flax, organic erythritol, organic coconut oil, egg, organic natural flavors, organic glycerin, pineapple, mango, leavening (sodium acid pyrophosphate, sodium bicarbonate), sea salt, organic rosemary extract, sunflower lecithin, monk fruit extract. Ingredients: water, organic flax, organic erythritol, organic coconut oil, egg, walnuts, organic glycerin, organic banana, organic natural flavors, leavening (sodium acid pyrophosphate, sodium bicarbonate), sunflower lecithin, sea salt, organic rosemary extract, monk fruit extract. salt, organic natural flavors, organic rosemary extract, sunflower lecithin, monk fruit extract. cherries, organic natural flavors, almonds, leavening (sodium acid pyrophosphate, sodium bicarbonate), sea salt, organic rosemary extract, sunflower lecithin, monk fruit extract. Ingredients: water, organic flax, organic erythritol, organic coconut oil, egg, walnuts, organic glycerin, organic carrot, leavening (sodium acid pyrophosphate, sodium bicarbonate), sunflower lecithin, organic natural flavors, organic rosemary extract, sea salt, organic allspice, organic cinnamon, monk fruit extract. Top to bottom: Banana Nut, Blueberry, Cherry Almond, Peanut Butter, Carrot Spice & Pineapple Mango. Nush Cakes are GOOD! I absolutely love these little, moist, flavorful cakes! Nush really picked the best flavor combinations for the cakes. All 6 cakes taste completely different. I cannot pick a favorite because I really truly love them all! Nush Cakes contain real ingredients, and I LOVE that! With school coming up, I am searching for healthy and different snacks to put into my son's lunch box. 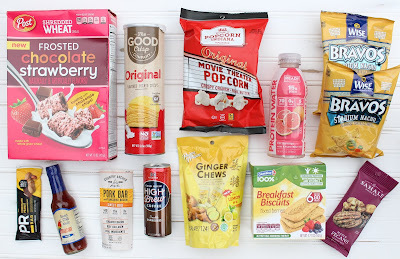 It great to know that there are a ton of healthy snack options out there. Nush Cakes are definitely one of them! I love enjoying a Nush Cake with a hot cup of tea or coffee! Which flavor(s) would you like to try? I received Nush Cakes in exchange for my honest review. All opinions are my own, always! Welcome to A Sampling Bee! The Campout Box from Degusta Box is again full of goodies! I love getting 9-14 full sized product each month because most of the products that I get are new to me. At only $19.99 a month or $18.99 bi-monthly this box is worth every penny. The total worth of these products is way over $20. Each month comes with a very nice info sheet which allows you to read about each of the products. See what was inside the Campout Box below! Prince of Peace Ginger Chews with Lemon are an easy, convenient and tasty way to enjoy ginger. Chews with a delightful balance of sweet and spicy ginger, with a chewy texture. Ginger is great for calming an upset stomach. Wise Snacks Stadium Nacho Bravos Tortilla Chips taste just like the real thing! These tortilla chips are cheesy with a hint of jalapenos. The flavor will make you think that you are enjoying a big heaping pile of nachos at the ball park! Ready Nutrition is an all-natural protein water that does not have any artificial ingredients. This electrolyte water is full of 15 grams of whey protein and absolutely no sugar. Great for staying hydrated! PR Bar is an all-natural, gluten-free bar that is packed with the perfect blend of carbs and vitamins to boost energy and endurance. I love the chocolate peanut butter taste! Colombina's Amazon Pepper Sweet Chili is a sweet and piquant blend of cayenne pepper and tropical spices. This amazing flavor is gluten free, kosher, non-GMO and free of high fructose corn syrup. Popcorn, Indiana is one of my favorite popcorn brands out there. This movie theater flavor tastes just like movie popcorn. And, what is a movie without popcorn?? Popcorn, Indiana's popcorn is made with the finest popcorn, real butter and salt. High Brew Coffee is made from Arabica beans that are cold brewed over time. The Double Espresso is their original formula with just a touch of sugar and a splash of milk. Post Frosted Shredded Wheat Chocolate Strawberry cereal tastes just like a chocolate covered strawberry. I love this cereal because its wholesome and delicious. Sahale Snacks makes an amazing mix! This Maple Pecan flavor is by far the best and tastes just like pecan pie. This mix contains dry roasted pecans, apples, walnuts and cherries! Country Archer Jerky Co. makes one of the best pork bars. This bar is BBQ flavored and tastes like it just came off of the grill! So delicious! I love the soft texture of the pork bar. And, I also like that its not overly salty. Each bar contains 15 grams of protein! Made in the USA with real ingredients! The Good Crisp Company is the Product of the Month and I know why! These chips look similar to Pringles but they taste so much better and they are so much better for you! I definitely feel good about enjoying this canister of chips! Colombina's Breakfast Biscuits are so tasty and crunchy. This month Colombina had a split campaign so some boxes contained the Pepper Chili Sauce and the others contained these breakfast biscuits! These biscuits are s filling and flavorful. I love the mixed berry flavor! The August Box was great! I was definitely a box that I would take with me on a camping trip. My favorites this month? The Good Crisps, Protein Water, the Pork Bar and the PR Bar. Degusta Box is celebrating its 2nd birthday so they are celebrating with a fun contest on their Facebook & Instagram accounts! All you need to do to enter is comment on their posts. 2 winners will be chosen! Have you tried any of the products in this month's box? Want a Coupon to save $10 off of your first box? Click HERE! Welcome to A Sampling Bee! Today, I share with you Sleek Treat! 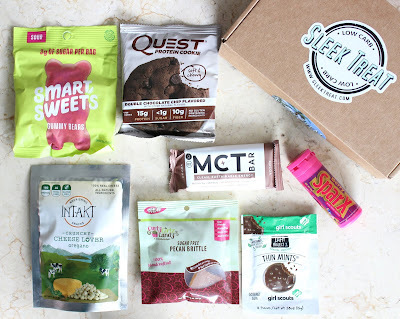 Sleek Treat is a monthly low carb subscription box that contains natural, healthy sugar alternative snacks. Each month, you'll get a box of 5-8 premium curated snacks delivered to your door. Sleek treat is diabetic friendly and costs only $34.99 a month! See what's inside..
MCT Cocoa Bars are made with 100% cocoa. They are naturally sweetened and made with a sustainable coffee flour, organic sweet pea protein and MCT oil extracted from 100% coconuts. MCT Bars are gluten-free, vegetarian, low carb & natural. Curly Girlz Sugar Free Pecan Brittle is crunchy, buttery and handcrafted. This pecan brittle is sugar free and has a touch of bourbon! It's low carb, keto friendly and gluten free. Sparx Berry Candy contains 100% xylitol. These little candies taste like blueberries, raspberries and strawberries. They are low carb, sugar-free, gluten-free and all-natural. Intakt Cheese Lover Crunchy Oregano Snacks are made with soft, butter cheese and they are crafted in Southern Chile. These cheesy snacks are infused with the antioxidant powder of Oregano at a low temperature to preserve its original nutrients. Intakt Snacks are gluten-free, natural and made with 100% real cheese! Smart Sweets Sour Gummy Bears contain no sugar alcohols or artificial sweeteners. These bears are high in fiber, non-GMO, soy free, lactose free, peanut & tree nut free, gluten-free and naturally flavored. Project 7 Girl Scouts Thin Mints Gourmet Gum is naturally flavored, contains nothing artificial, its non-GMO, gluten-free and sugar free. Sweetened with xylitol. Quest Protein Cookie Double Chocolate Chip Cookies are soft, chewy and sweet. They are great as an on-the-go snack. Quest Cookies are all natural, soy free and gluten free. High in fiber and fiber but low in carbs and sugar. Sleek Treat is such a great subscription box. It is always packed with the best goodies. Goodies that everyone can enjoy. Especially those who need to watch their sugar intake. Sparx Candies are great for cleaning your teeth on the go. My kids love them! Project 7 Gum allows you to enjoy your favorite Girl Scout Cookie in the form of gum! I didn't think that this gum would taste just like the cookie, but it does! Smart Sweets Gummy Bears are sour! But, so good. My kids ate the whole bag while I was photographing the goodies. These gummy bears are soft, not overly chewy. The Quest protein cookie was my favorite product in this months box. This cookie was loaded with chunks of delicious chocolate! Soft, chewy and just yum! Intakt Snacks for cheese lovers are unlike any other cheese snack that I have had before. This snack is made from 100% cheese! Its like enjoying a chunk of cheese, but they're crunchy! The oregano flavor is really good! The Pecan Brittle was okay. I had a great taste but it was really hard. I found myself breaking off pieces and sucking on it because I didn't want to break my teeth. The MCT Bar was okay, too. wasn't really crazy about the flavor. All-in-all, I love the idea of Sleek Treat. I get to try new products and discover new brands! I received Sleek Treat in exchange for my review. All opinions are my own, always! Welcome to A Sampling Bee! Today, I am sharing with you another amazing GIVEAWAY! 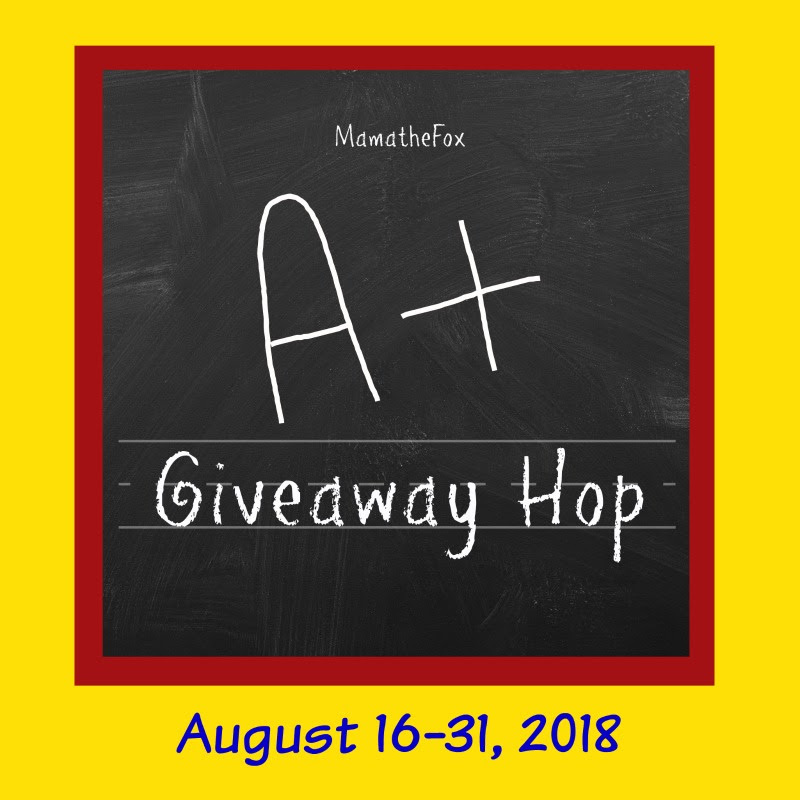 I have teamed up with several bloggers in the A+ Giveaway Hop! My prize, that I will be giving away, is a $10 Gift Card to Starbucks, Dunkin Donuts, Walmart or Target. Winner's choice! 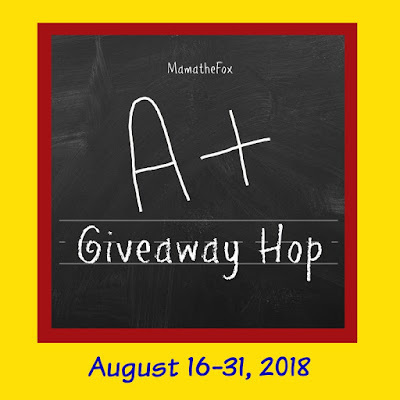 This giveaway runs 8/16 - 8/30. Winner will be chosen on 9/1. US entries only, please! This hop is hosted by MamatheFox. Want a chance to win more?? HOP on over to the next blog! Click links below! Friendly's Vienna Mocha Chunk Coffee Review + Giveaway! Welcome to A Sampling Bee! Today I share with you Friendly's Vienna Mocha Chunk Coffee!Friendly's was always my favorite place to eat when I was a kid. We would either go there for a meal or for ice cream. When we went their for just ice cream, I always picked a new flavor to try each time. I remember trying their Vienna Mocha Chunk ice cream and I was so amazed by how delicious it was! That's why, when I was contacted to try this Friendly's Coffee, I had to say yes! Vienna Mocha Chunk is infused with the flavor of coffee ice cream and rich mocha chunks. It is an espresso drink made with cream and delicious chocolate shavings. 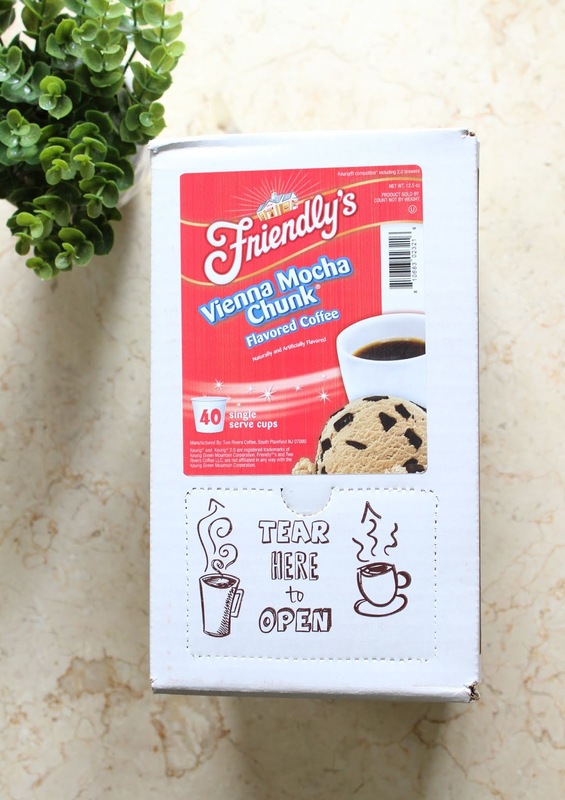 If you love Friendly's Vienna Mocha Chunk Ice Cream, you will love this coffee! It's delicious and tastes just like mocha. Just like the ice cream from Friendly's! It comes in the form of a k-cup and can easily be brewed with a Keurig or and other k-cup coffee machine. Vienna Mocha Chunk is by far my favorite flavor from the Friendly's line. Looking forward to trying the other flavors! Want to win a 40 count box of Vienna Mocha Chunk?? Enter below! One winner will be chosen and contacted via email. Contest will run until 8/31. US only, please! Prize fulfilled by TRC. Good luck! !